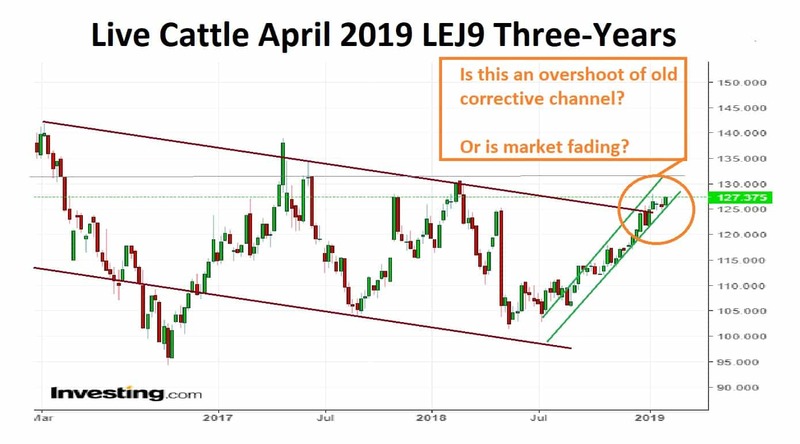 From 2016 through to the end of 2018 it appeared that the price of Live Cattle was rotating with a regular cycle in a gently declining corrective channel. However, in the past few sessions there has been a slight press of prices above the channels upper limit. As the orange inset box asks, are we seeing an overshoot, or the start of a new break higher in the price of Live Cattle? A good first step in seeking an answer that may aid our trading is to look at the mood of the market place. Last Friday one saw a degree of success for price bulls (please excuse the pun)as late in the session there appeared to be a resigned shrug from meat packers as they finally raised their bids. 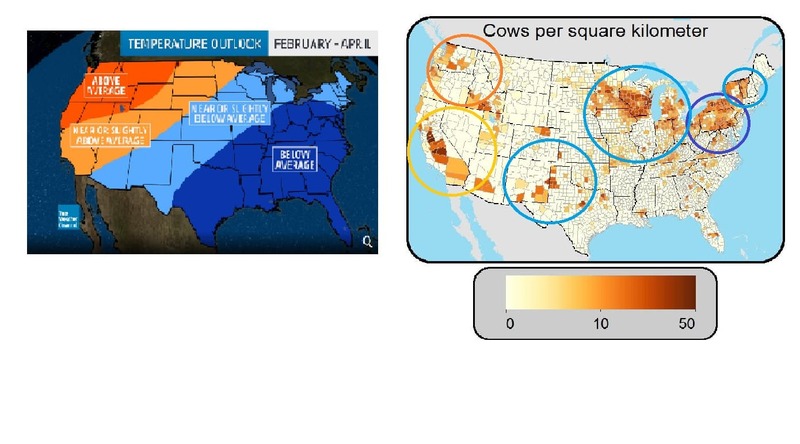 Maybe the weather outlook created the change of heart as another cold winter night settled over the High Plains and North East cattle territories. 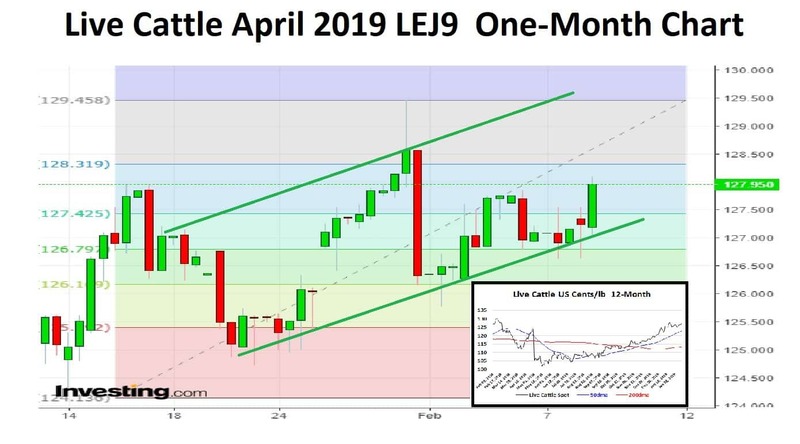 Until that last movement cattle trade had been at a standstill on Friday afternoon, with a light trade Friday morning at $124.55, about half-a-dollar higher with few active live trades to support the market. Futures markets, however, suggested those prices were too cheap. February Live cattle closed Friday at $127.375, more than $1 higher and there has been some minor drift higher in aftermarket settlement. Despite packer resistance, the market has been on an upswing. Since last summer’s low of $107, cash fed cattle prices have been steady or rising gently higher in 21 of 23 weeks. There is a highly optimistic outlook for the price of Live Cattle with all technical indicators flashing green for “Buy” or “Strong Buy”. Certainly, the level of the markets spot price compared to the 50 and 200-day moving averages does not suggest any reason to be negative and so I am a bullish buyer of beef.